MIAMI COUNTY — A Piqua man accused of assaulting his two-week-old baby waived his right to a speedy trial in Miami County Common Pleas Court on Tuesday. Brent W. Hennon II, 19, appeared for a pre-trial hearing with public defender Stephen King. Judge Jeannine Pratt set a final pre-trial conference for April 15. She set Hennon’s three-day trial to begin on April 30. Hennon was indicted by a grand jury for second-degree felonious assault and felony child endangering after being accused of assaulting his son to the point of the child needing medical care on Nov. 22. He was arraigned on the charge on Jan. 7, in Miami County Common Pleas Court. Hennon’s bond was set at $500,000 cash-only bond. Hennon remains incarcerated at the Miami County Jail. Hennon was originally charged in connection with an incident in which Piqua Fire Department medics were called to a residence on the 200 block of Fourth Street at approximately 3:30 p.m. Nov. 22, on the report of an infant possibly not breathing. Paramedics were able to revive the baby, and police were contacted due to the nature of the incident. 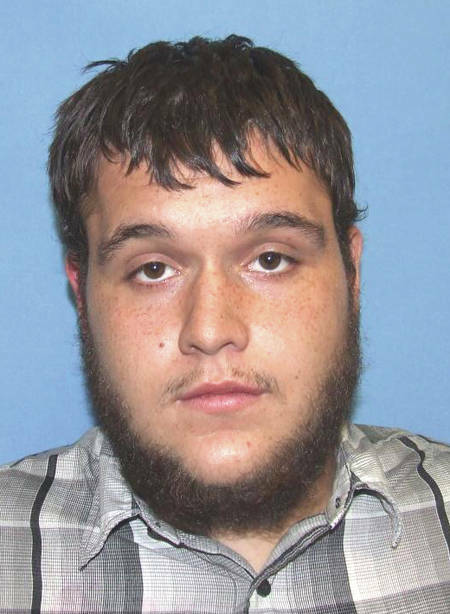 Miami County Common Pleas Court Judge Jeannine Pratt sentenced Justin Gue, 25, of Covington, to serve 17 months in prison on three criminal cases on Tuesday. Gue entered a guilty plea to fourth-degree felony theft from the elderly and fifth-degree felony breaking and entering reported on June 8, 2018. According to reports, Gue cut two holes in a barn in the 400 block of Shiloh Road, Pleasant Hill, and stole a golf cart, an air compressor and tools. Judge Pratt sentenced Gue to serve 17 months for the theft charge and 11 months for the breaking and entering charge. Gue was also sentenced to serve 11 months in prison for fifth-degree harassment by an inmate with bodily substances. He also was sentenced to serve 11 months for a community control violation for a previous unrelated fifth-degree felony theft charge. He admitted to the violations. All sentences will run concurrently. Gue was ordered to pay $1,000 in restitution to the victims of the separate theft cases. The victim, a relative of Gue’s, said she is no longer able to sleep at night and fears for her life due to the crimes committed on her property from the June 8 incident.